A 2-D stylistic action platformer showcasing fast action, deep gameplay, and a unique visual style. An undead samurai dishwasher in a dystopian universe is on a quest for revenge against the evil cyborg army. Compete with the rest of the world in a variety of speed run and high score challenges to become the most formidable Dishwasher yet! This controversial long lost research project conducted by Ska Studios and Neurologische Entwicklung GmbH is available now on XBLIG! The subject of heavy criticism from ethicists and pragmatists alike, Viking’s “Adaptive Neurothreading” technology allows for unprecedented aura connectivity, but at what cost? In a dystopian future where humans love guns and zombies just want to be left alone, the pterodactyls have seen to it that everyone has to be miserable together. Take your jetpack online and splatter some fools with blades, guns, grenades, and other instruments of mayhem. Earn XP, level up, unlock features, clothes, and skills! Build awesome classes! 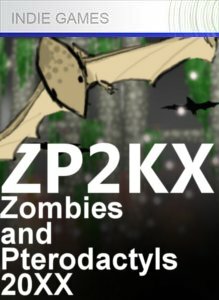 ZP2K9 is a super-crazy multiplayer sidescroller. Play Deathmatch, Team Deathmatch, Capture the Flag and King of the Hill with 13 devastating weapons and 6 grenade types including Akimbo SMGs, the freeze gun, gas grenades, and the enemy-splattering MIRV. Batter your enemies senseless with Rock Fu and Guitarpocalyptic Power Chords in this quick to pick up, nasty to master arena brawler. The most tenacious will prevail in this apocalyptic brawl between ninjas, zombies, pirates, cyborgs, and punks! Z0MB1ES (on teh ph0ne) is a themed twin-stick shooter collection headlined by I MAED A GAM3 W1TH Z0MB1ES 1N IT!! !1, the solidly executed and utterly self-aware celebration of gaming culture through an epic musical masterpiece. Z0MB1ES does its best to span both musical and gaming genres in a streamlined series of choreographed music video gameplay mashups. 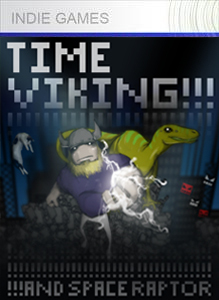 Paired with an exclusive music-driven psychedelic shooter, Time Viking, as well as the ENDL3SS Z0MB1ES game mode, Z0MB1ES is infectious fun. Once upon a time, a young hobbyist, James Silva, created some games. Some people want to still play those games for some reason. We have a few of those games available to download but they are no longer supported so if they don’t work on your computer, we’re sorry! You’ll have to find a forum somewhere where someone has figured out how to make it work on the latest Windows.